Vivi’s returning home after a year at college, which she just barely passed. TJ is training to be a nurse and overworked, both at his family’s restaurant and the hospital. It seems as though the two have nothing in common. However, TJ watched Vivi completely lose control just before her father died, and Vivi hardly remembers it at all. Their paths collide at the university hospital where TJ works and Vivi is spending the summer for an internship to keep studying at Yale. Ángel is the ward’s most problematic patient. He’s suffering from a heart infection that could be fatal, but that doesn’t stop him from being an absolute pain. When Vivi is assigned to be Ángel’s translator – the hospital believes he only speaks Mam, an indigenous language, and Spanish – she and TJ begin spending much more time together than they expected. What they don’t know is that Ángel is an illegal immigrant, and will be deported after his eighteenth birthday. This book made me cry many times. TJ, Vivi, and Ángel seem so real and alive. 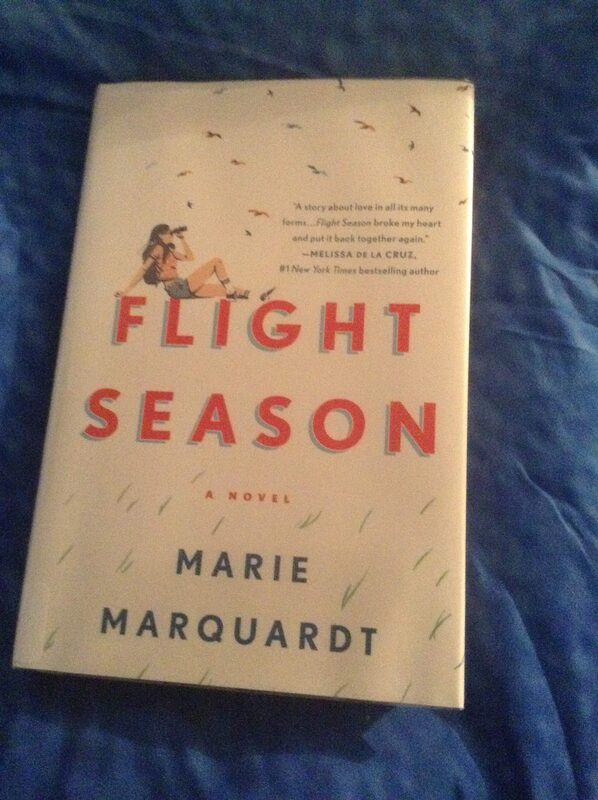 Flight Season tells a story of love, desperation, and hope. I recommend this book for anyone who enjoys a good sob story.